“The instantly brutal is invading the realms of cultivated and subtle expression. Our five senses are assailed with mortal effect—to quote the last words in Hamlet, (a massacre) “of course and fury signifying nothing”. Nothing is more revealing of the eternal truth of Shakespeare’s words. On television, genocide, killing and torture, in our media a constant stream of degrading sensations, reports and gossip as against that never-never land of enticing advertisements where we learn the purity of purchased bliss. We suffer the noise of road drills or the forced feeding of music, deafening decibels at discotheques. These insults to our senses of hearing, smell and taste are brutalizing and are a symbol of the confrontation between human beings and their different needs. These divisions make ever less sense in a world ever more dependent on itself, and one in which each of us is dependent on so many other people and furthermore a world in which we instantly react to events all over the globe. Yet we must ensure peace for each and for all. I will now speak of the conditions for such peace. Such peace must allow for the full unfolding of our talents, our gifts for self-expression, for otherwise they fester, ferment, rot and destroy. The societies we envisage must be bound by a sense of belonging to ever-widening concentric circles or spheres of common dependence and interests. Such societies must be as robust as they are subtle and must allow man, the religious animal, the full expression of his feeling and his faith in eternity and mystery of life in its oneness and in its diversity. He must live creatively, yet with profound respect for nature and the ways and freedoms of his co-habitors. His formation must begin at the earliest age with the refinement of his senses, first and foremost the sense of hearing, of voices, of music, of memory, of surrounding space. Yet, even before, there must come in chronological order the sense of immediate touch, skin and tongue, the warm and protective, the caress and, of course inevitably, the unpleasant, hurtful or corrosive. Speech and music are but extension of the tactile as vibrations from beyond us set up vibrations on and in our ear drums, i.e. within ourselves. Our hearing, unlike our sight, which is directional and confrontational (subject v. object), is global and all-embracing. Our eyes should rest on the green of nature, on the sky, on the stars and the moon, on the seas in all their moods, on sources of sounds which occasion human reaction, protecting, comforting, meditating, but also frightening in small inoculative doses, whilst learning to defend ourselves, or to avoid, to intervene or to ignore. Writing and reading are visual skills which cannot really flower until listening, thought and speech are fully evolved. The senses of fantasy and observation by singing, drawing, painting, reciting by composing poetry and music, by mime, by acting, the control of our body and its health by a knowledge of nutrition and training in various disciplines—yoga, Taichi, martial arts, paired with movement and dancing as with singing from the earliest moments possible—constitute a child’s world and are the basic formation which must precede the abstraction of reading, writing and calculation. The cultivation of thought and speech is far more important than of reading and writing because it is basic. Dreaming, talking, indeed even philosophizing, must precede abstract study. Once a mission or task has been successfully accomplished, that person would be eligible for a five-year appointment to an Assembly of Cultures meeting twice a year. 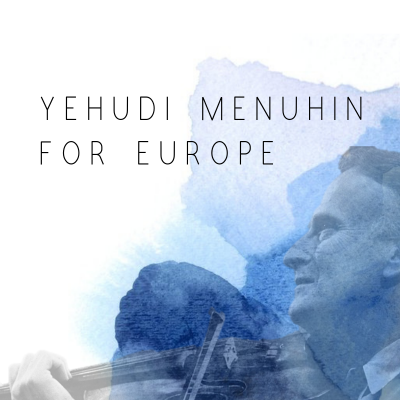 We are intent on reviving and inspiring a genuine European conscience conceived in the image of what the integrated diversities of Europe have already brought the world—in music, language, in literature, in science, in parliaments, in democracy, in open-mindedness and in social conceptions in advance of many other parts of the world. One of the most inspiring examples of man’s thought was the establishing of the United Nations Educational, Scientific and Cultural Organization (UNESCO). It was conceived in London by a wonderful group of men of great vision—Julian Huxley, the great biologist, was its first President—and it was to be totally apolitical, the counter-part of the United Nations. I am glad to say that in the hands of Federico Mayor it is in a strengthened way fulfilling its original concept of bringing the world together in the recognition of our responsibilities and obligations in the realms of education, of art, of heritage in all forms, from music to ancient architecture, of relief to the destitute and abandoned children in the streets of Sao Paolo and to hundreds and hundreds of wonderful human and humane initiatives taken throughout the world. I continually regret that the United States and England following in dutiful echo renounced UNESCO some years ago and are still refusing to rejoin this great human global organization.